Can a liquidator help? What to do? One of the problems a director faces when the company is insolvent is the issue of personal guarantees. Unfortunately, there is no “magic pill” that can fix the problem. A personal guarantee is a specific agreement between a director, or some other guarantor, and a particular creditor. The usual provision is simply that if the company that incurred the debt cannot or does not pay the liability then the creditor can seek payment from the director personally. So personal guarantees are sometimes requested by suppliers as part of their standard Credit Agreement and by Banks when providing any form of finance. Not a lot! Unfortunately, a personal guarantee is an agreement between an individual and a particular creditor. As a result a liquidator has no say and no control over any action that a particular creditor will take under a personal guarantee. There are some general principles that can be applied. Firstly, we always recommend that a director deal with company debt problems prior to dealing with personal debt problems. We advise that because it is important to “crystallise” the debt that is owed to that particular creditor. It is the company that has the primary liability to the creditor and so it is usually best to place the company into liquidation prior to entering negotiations with a creditor that has a personal guarantee. 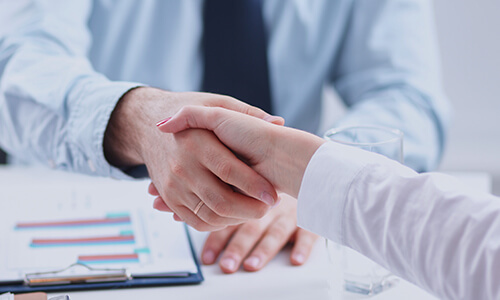 We always recommend to a director who is concerned about the financial position of the company that they also prepare a list of all creditors who have a personal guarantee from the director or any other party. After a director has placed their company into liquidation, then the director can address their personal financial problems. It will often be the case that a director is able to negotiate a settlement with creditors that have a personal guarantee. This will be possible because that creditor will know that the director probably has no means of satisfying the amount due under the personal guarantee in full because the company has just been placed into liquidation. A director that has provided a number of personal guarantees may even need to consider using the personal insolvency legislation. That is, a director may need to consider whether or not they should enter Bankruptcy or perhaps even attempt to agree to a Personal Insolvency Agreement or in the case of smaller debts, a Debt Agreement.